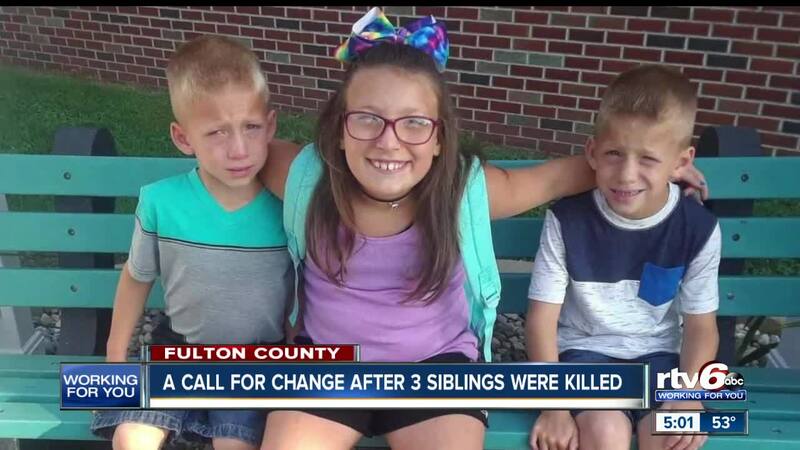 The 24-year-old driver who struck and killed three kids while they crossed the street to board their school bus told police she saw the lights but didn't realize it was a bus until the kids were in front of her. FULTON COUNTY, Ind. 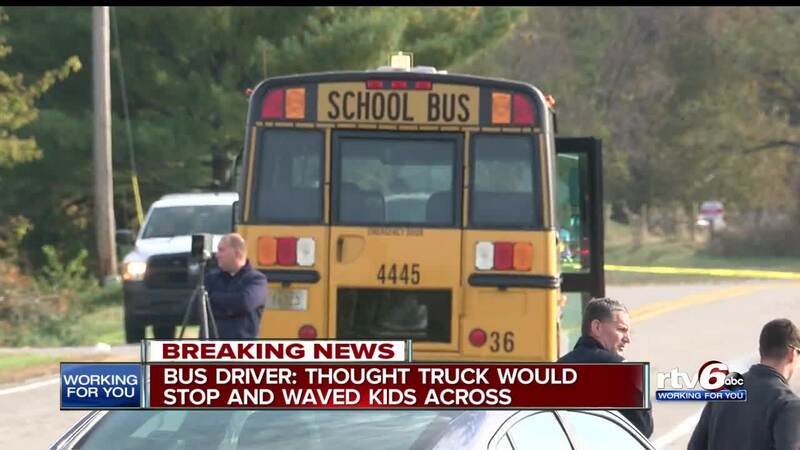 -- The 24-year-old driver accused of killing three kids when they crossed the street to board their school bus told police she saw the lights but didn't realize it was a bus until the kids were in front of her. Alyssa Shepherd was arrested at her place of employment Tuesday evening. She's charged with three counts of reckless homicide and one count of disregarding the stop arms on a school bus causing injury. Police say she was driving a Toyota Tacoma on State Road 25 sometime after 7 a.m. when she allegedly "disregarded" the stop arm and lights on a stopped school bus in front of a mobile home park, striking four kids who were crossing the street to board the bus. A probable cause hearing was recorded in Fulton County Superior Court on Tuesday where investigators and officers were interviewed following the crash as the Fulton County Prosecutor sought an arrest warrant for Shepherd. 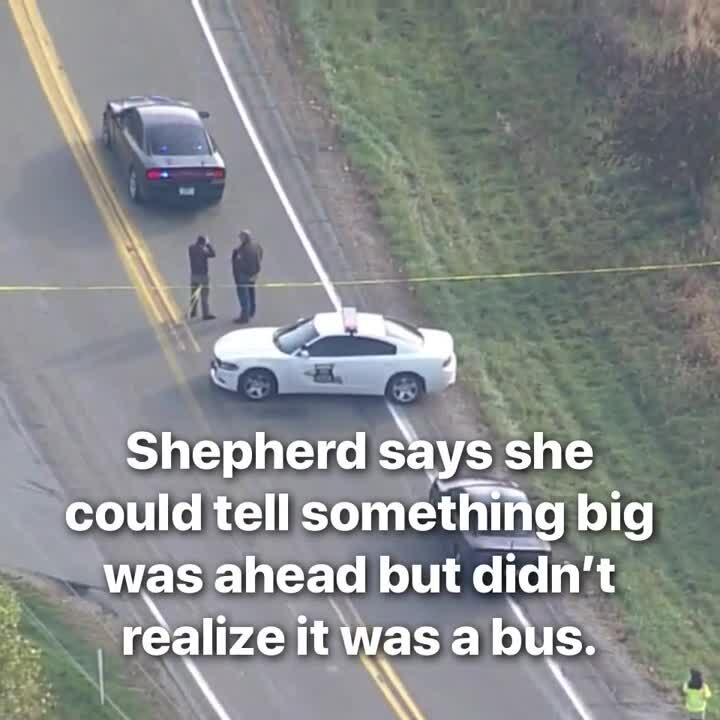 In that recorded hearing, which was obtained by RTV6, Indiana State Police Detective Michelle Jumper recalled the information given to her by the bus driver, Shepherd and a witness that was driving behind Shepherd. Jumper said the witness told her she had been following the pickup truck in front of her for a while and was going about 55 miles per hour when she caught up to her. The driver said they went around the corner and she slowed down to 45 miles per hour and she could tell there was a school bus stopped with all of its lights activated so she started to slow down. Shepherd told Jumper that she does not typically driver her husband to work, but that she had just dropped him off Tuesday morning and had three children in the back seat of the vehicle. Shepherd said she was not sure how fast she was going but that she is typically a "slow driver." Shepherd is the children's director at Faith Outreach Center, a Foursquare Gospel Church in Rochester. Rev. Terry Baldwin said Wednesday that they are "Fervently praying for the family suffering this tremendous loss and everyone who has experienced this tragedy."